Steve Rice (Olympia, United States) on 18 March 2019 in Landscape & Rural. 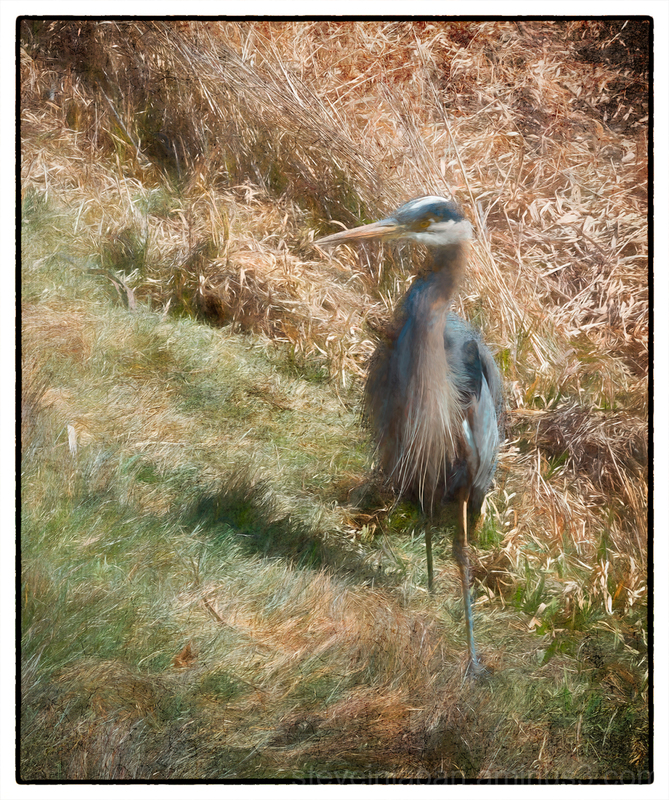 A Great Blue Heron standing in the grass apparently enjoying the sun's warmth on a chilly winter's day. An oil glaze applied. Magnificent great blue heron. I have seen some of them in the USA but we don't have this variety in France and they are beautiful. Stork is my favorite when I go to some birds. It is the investigator and its movements are calm. It's easy to describe. A fantastic nature photo of the Heron. L'image s'affiche étrangement sur mon écran ce matin. Such beautiful presentation . . delightfully different. Very beautiful portrait of the Heron , composition and atmosphere ! Great capture of this heron! I love the fluidity in its plumage! a very beautiful capture here !!!!! A fine picture of this long legged bird. Heron’s are very attractive. He looks to really be enjoying the warm sunlight. A wonderful capture of this beautiful bird! Heron's are such cool birds. I love to watch them hunt.